Editor’s note: We selected Eric Clapton as the subject of this month’s Iconic Rigs well before the recent news broke about Eric Clapton’s difficulty in playing guitar due to peripheral neuropathy. We at zZounds were saddened by the news and wish for a full recovery for Eric. This installment of Iconic Rigs serves to pay tribute to him. There isn’t a more apt term to describe Eric Clapton than ‘iconic.’ He has 18 Grammy awards, 23 studio albums and 12 live albums. He’s listed at #2 in Rolling Stone’s Top 50 Guitarists of All Time. Though he’s sometimes called “Slowhand,” he’s also been referred to as “god.” His contributions to music vary from the heartfelt acoustic composition “Tears in Heaven” to Cream’s psychedelic blues frenzy “She Was Like a Bearded Rainbow.” His perception in the public eye is equally varied — when he first broke onto the scene, his use of distorted amplifiers and effects were cutting edge and unlike anything his audiences had heard at the time. In more recent times, his status as a long standing ambassador of electric blues guitar sometimes casts him more as a member of the musical establishment than the dangerous revolutionary he was as a young man. Clapton has owned and played countless guitars and amps through the years, from his iconic “Blackie” and “Brownie” Fender Stratocasters, the psychedelic “Fool” Gibson SG, his cherry ES-335 and his now legendary Gibson Les Paul + Dallas Rangemaster + Marshall Bluesbreaker combination. The gear Clapton used varied a bit from era to era, but his trademark sound was always a constant. His deliberate phrasing, tasteful use of fast vibrato and vocal-like guitar tone are what make Clapton stand apart from other bluesmen. His style is so often copied by other players that it almost seems cliche in the modern era, until you realize that Clapton was the one who invented almost all of it. Listening back to his early recordings, there’s an incredible amount of raw emotion and energy leaping out of his searing guitar tone. When listening to old records by the Yardbirds, Cream and John Mayall and the Bluesbreakers, it’s hard to imagine Clapton as the crooner behind the sensitive ballad “Wonderful Tonight.” His guitar solos contain all of the brash attitude of fellow Yardbird Jimmy Page, but underneath all of it is an incredible tightness and polish that is exclusively Clapton. It’s not just about playing the fastest or loudest thing, it’s about playing the right thing. This extraordinary sense of tastefulness is what impresses me most about his playing. When asked to make an Clapton-focused video for our continuing “Iconic Rigs on a Budget” series, we turned to a modern take on one of Clapton’s most famous amps: The Fender Bassbreaker. It’s no secret that the Fender Bassbreaker was inspired by Clapton’s Marshall Bluesbreaker combo, which he used in combination with a Gibson Les Paul to great effect during his stint in John Mayall and the Bluesbreakers. This tone can be heard on Bluesbreakers with Eric Clapton, which is also referred to as The Beano Album because Eric is pictured reading a Beano comic book on the front cover. In addition to the Bluesbreaker combo and Gibson Les Paul, there was one other secret weapon that made up Clapton’s now-historic tone: the Dallas Rangemaster. The Dallas Rangemaster was a germanium based treble booster that was used by many ’60s and ’70s-era guitar heroes. It was built before the days of effects pedals, so instead of sitting on the floor and being switched on with your foot, it sat on top of your amp and was turned on and off by hand. It was designed to give extra clarity to dark-sounding British amps of the time. Since the effect was so cumbersome to switch on and off, most players simply kept it on all the time and used their guitar’s volume and tone knobs to control the amount of gain. When the level on the Rangemaster was cranked, it pushed a tube amp into overdrive and created a very dynamic and responsive tone rich with harmonic content. 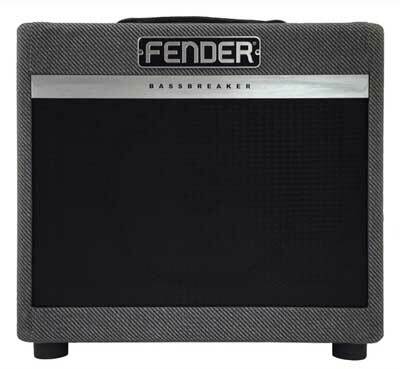 The Fender Bassbreaker 007 takes both of these circuits and combines them with some modern updates. The result is an undeniably cool and surprisingly versatile combo amp for recording and small gigs. The Bassbreaker takes inspiration from the Bluesbreaker and uses EL84 tubes for a British voice, but also combines elements of the Fender Bassman circuit to give it a new twist. 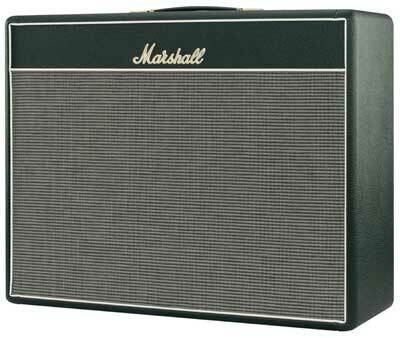 Amp aficionados might appreciate this coming full circle, as early Marshall amps like the Bluesbreaker were inspired by tweed Bassmans. On the Bassbreaker 007 model, Fender has included a switchable Treble Boost that is designed to emulate the tone of a Dallas Rangemaster. In our video, we used the amp’s natural grit for the rhythm track and the Treble Boost to push it over the top for solos. Just like players of the time, all the tones were achieved by manipulating the volume and tone knob on the guitar, not by extensively tweaking the amp. The result is an organic and very musical overdriven tone that’s very vocal and expressive. These days, while the high price of a vintage Bluesbreaker or even a reissue model represents a barrier of entry to a generation of younger guitar players looking for the Beano tone, the Fender Bassbreaker series is actually the best evolution of the Bluesbreaker combo. It’s an affordable and portable combo amp with a great bread-and-butter blues tone, versatile tone controls, unmistakable vibe and it still fits in the boot of your car. For starters, to nail the Clapton vibe, it’s a good idea to be aware of the small details like your vibrato speed, your bends, and your phrasing. Try a more aggressive, faster vibrato on single notes for a taste of the intro lick to “Sunshine of Your Love,” or add it to your bends to give them more character. After all, utilizing fewer notes but with more vibrato and feel was a classic technique of his. Because of his roots in the blues, Clapton often used lots of bends, and for good reason – bends can evoke a lot of emotion on the guitar. Try adding these basic additions to your practice routine and see what you come away with. As for his gear, Clapton has experimented with many different amp/guitar combinations over the years, and so we ultimately decided to settle on choosing a small variety of his favorite choices (or close variations) in order to replicate his sound. Of course, we included a Fender Stratocaster as it eventually became Clapton’s favored guitar. For those budget-conscious players, we also included an Epiphone ES-339 semi-hollow guitar (as an alternative to Clapton’s usage of the now-famous cherry red Gibson ES-335 he used for portions of his Cream days). For an amplifier, we ended up going with a Fender Bassbreaker 007 amplifier to get a budget version of Clapton’s earlier days playing a Marshall Bluesbreaker amplifier. The amp, while quite low-wattage, actually has a great overdriven tone, which we used to good effect. Hey I'm Pat, and I'm the videographer at zZounds! I grew up in southeast Michigan listening to bands like The White Stripes, The Greenhornes, The Detroit Cobras and The Strokes. The first REALLY good piece of music gear I owned was an Analogman Beano Boost. I still have it today. Since then I've played numerous guitars, amps and effects from vintage tube amps all the way up to modern digital superdelays in a quest for new sounds.